The highly anticipated Super Mario Run for iPhone, iPad and iPod touch is now officially available to download right now. After originally being teased during Apple’s September 7th iPhone 7 event, the unique take on the Super Mario experience is now available for global download, instantly bringing the iconic Italian plumber to Apple’s mobile devices for the first time in an official capacity. This release is a fairly big deal for Nintendo considering it’s the company’s first real venture into producing a game that’s not only solely dedicated to mobile, but actually exclusive in the first instance to Apple’s iPhone and iPad hardware. And of course, it’s the first time Nintendo has brought Mario to the small screen in an official capacity by giving him his own game that sees the plucky-mustached plumber thrust into a number of changing environments in the pursuit of gathering coins and evading any peril that any of the 6 worlds have to offer. Gamers can expect to interact with a Super Mario game that sees the system automatically control Mario’s movement through the individual worlds. From an interaction perspective, those same gamers are expected to control Mario’s jumps with taps, forcing the main character to react in different ways depending on the timing of the tap. The purpose of those taps and interactions will be to ensure that Mario evades any baddies that may approach, as well as collect as many coins as possible en route to saving Princess Peach from Bowser’s clutches. This may be a modern-day Mario, but you didn’t think there wasn’t going to be a princess involved, did you? 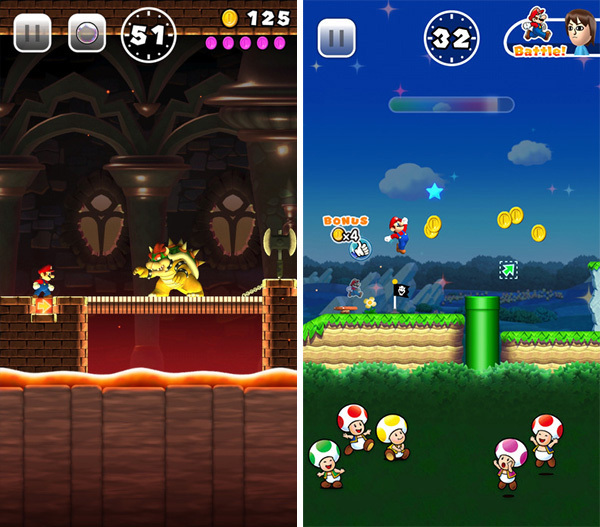 The game features 6 individual worlds, filled with 24 brand-new courses that are all designed to perfectly maximize the fact that Super Mario Run is intended to be played with one hand. Multiplayer features allow gamers to compete against one another, as well as challenge others across the world in Toad Rally. There’s also the ability to gather coins throughout the journey and build your own Toad Kingdom that can feature unique buildings and decorations. 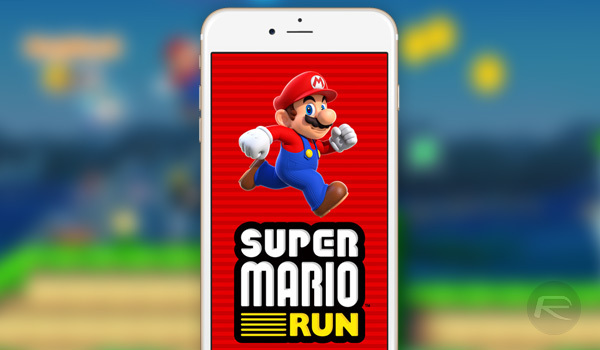 Super Mario Run is officially available to download right now from Apple’s iOS App Store, offering support for iPhone, iPad and iPod touch devices running iOS 8.0 or higher. Update: Is Super Mario Run crashing for you? We have a fix for that! Follow it here: Fix Super Mario Run App Crashing By Bypassing Jailbreak Detection, Here’s How. The Notify button is still there…can’t download it. It’s not available yet. Just notify. Thank you ,I just downloaded it ,just press on de (Nofify) a least that’s what I did. Works on iphone ios 10. It shows as free app. It was paid app earlier? Never mind. Its out now. It’s an in-app purchase for the full version.